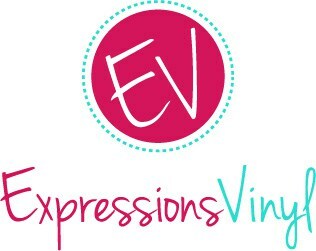 I love yummy treats and I love it when a simple thing can turn something ordinary into something really special! 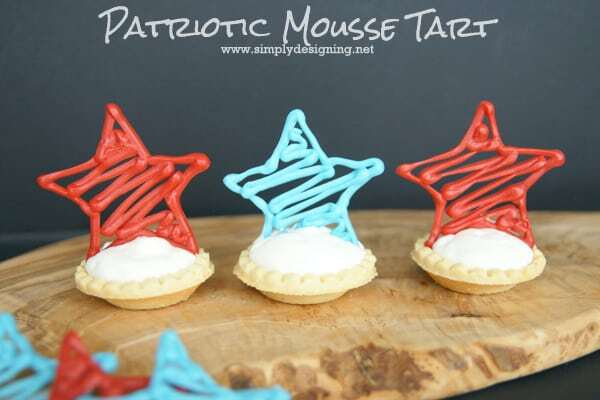 With the 4th of July just around the corner (and Memorial Day right behind us) I love anything with red, white and blue! 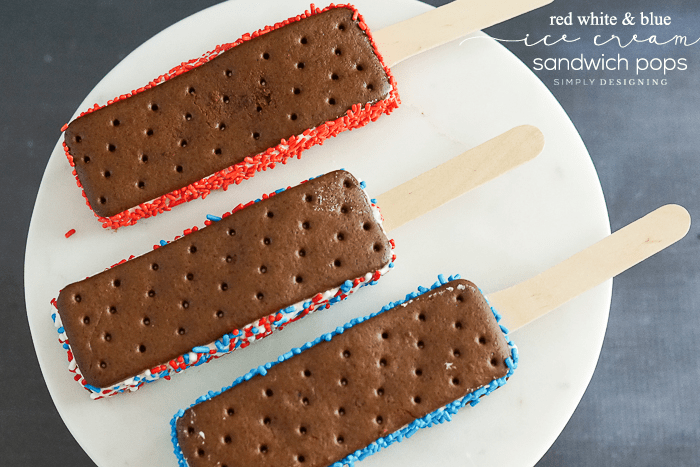 Add ice cream and sprinkles and it is a perfect summer treat! 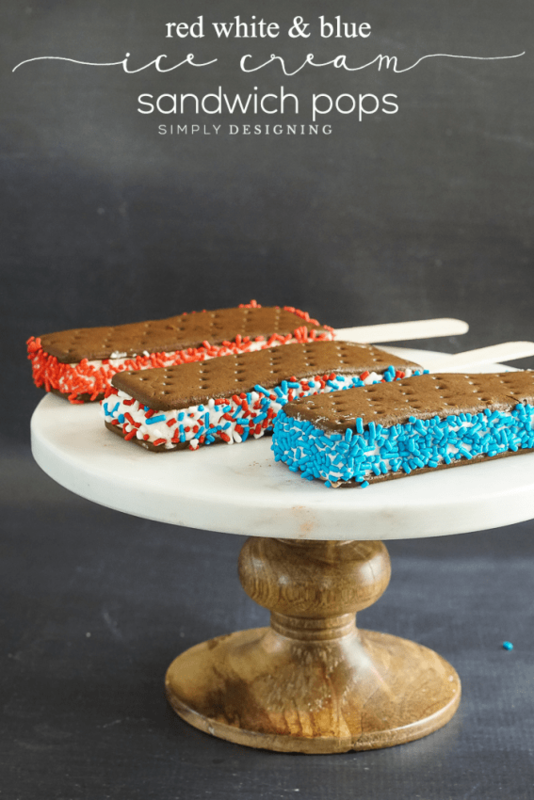 So today I am really excited to share these fun red white and blue ice cream sandwich pops with sprinkles! 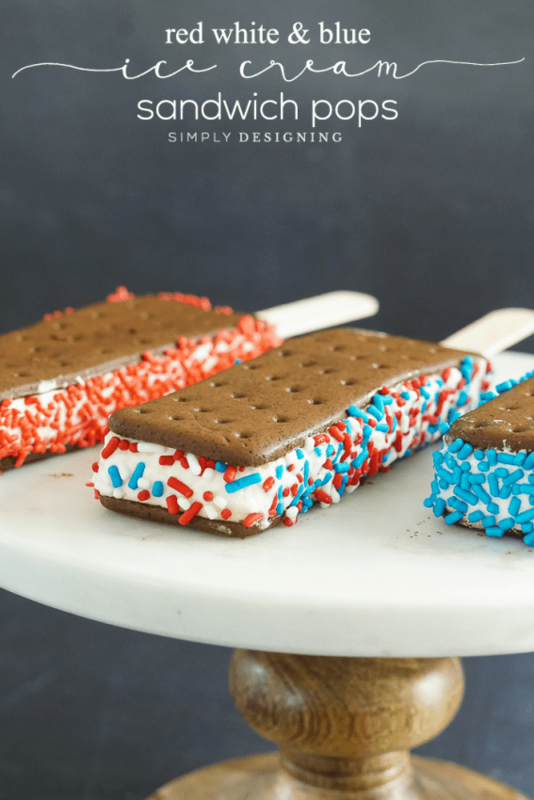 You won’t believe how easy these are and they are such a fun way to take ice cream sandwiches up a notch this summer! Our family loves ice cream sandwiches! They are so yummy and seriously we can’t get enough of them. 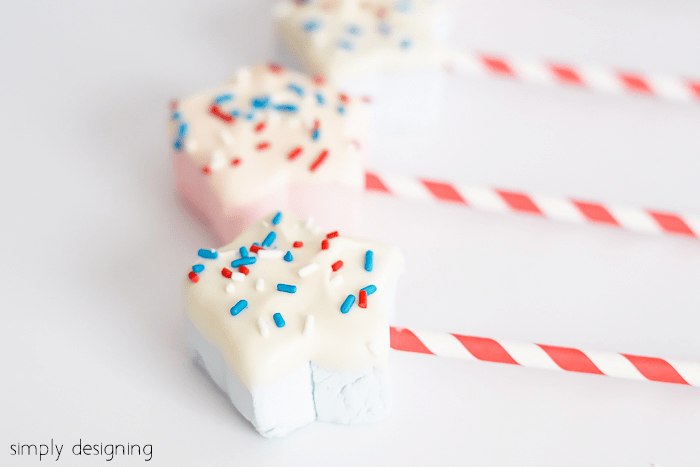 But adding sprinkles to them makes them even tastier and so festive! And eating them on a stick also just makes it more fun. Remove ice cream sandwiches from wrapper. Place jimmies or sprinkles on a plate. 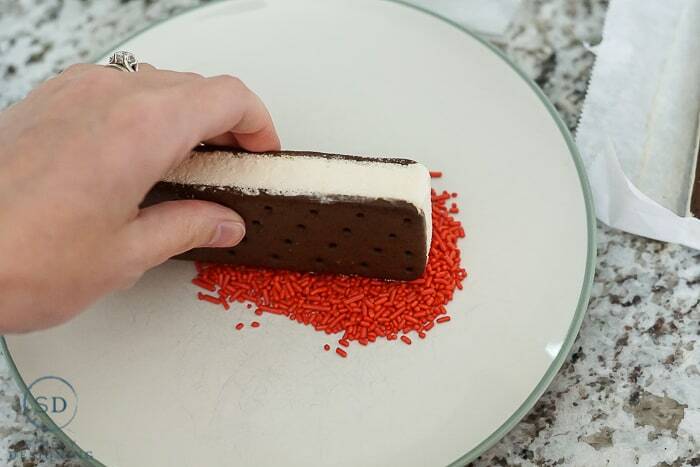 Dip sides of ice cream sandwich into sprinkles until coated. 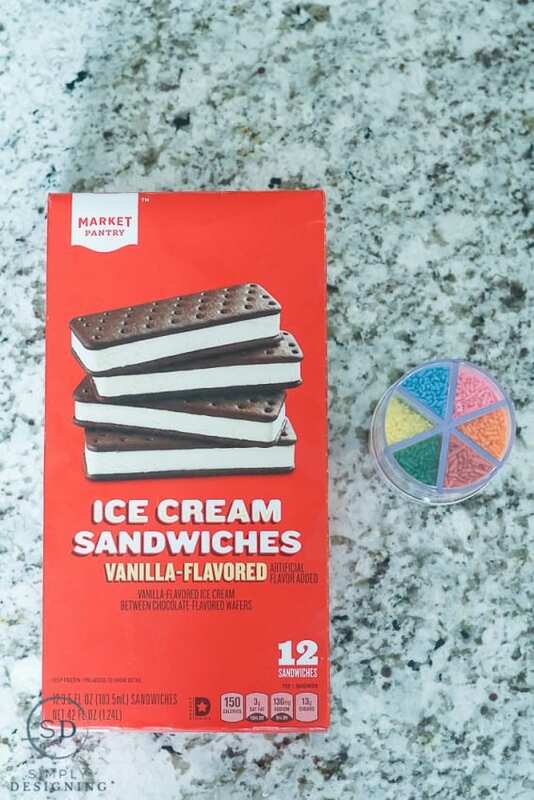 Place in freezer for a few minutes while you finish adding sprinkles to your other ice cream sandwiches. Ice cream sandwiches melt quickly so you want to keep these in the freezer whenever possible. 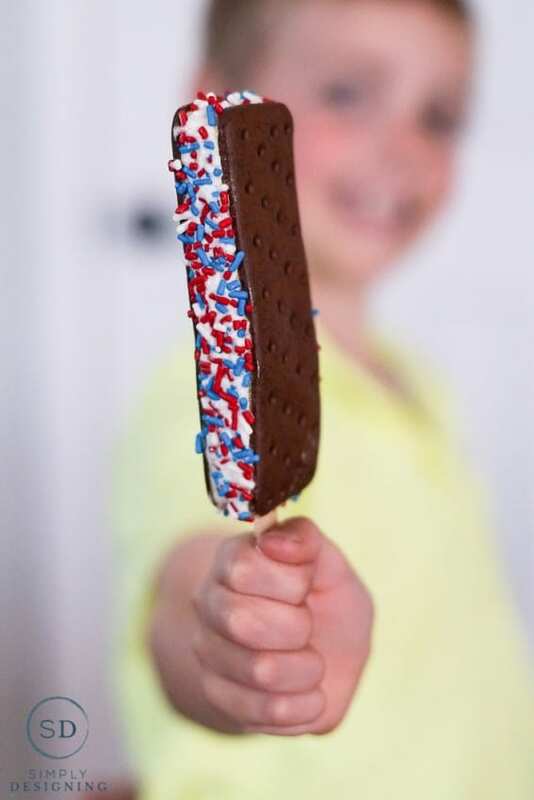 Remove from freezer and place popsicle sticks into the ends of each ice cream sandwich. Allow to cool in the freezer for about 30 minutes before serving. 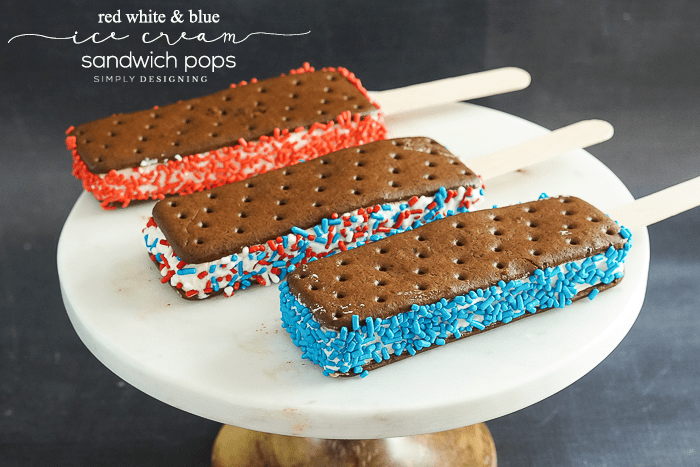 This is such a fun way to turn ordinary ice cream sandwiches into fun and festive treats. We all had fun making these and we all had fun eating them too! 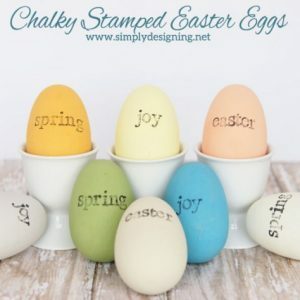 These would be fun to make for any holiday or occasion too! What a fun and delicious snack idea! Thanks for sharing. 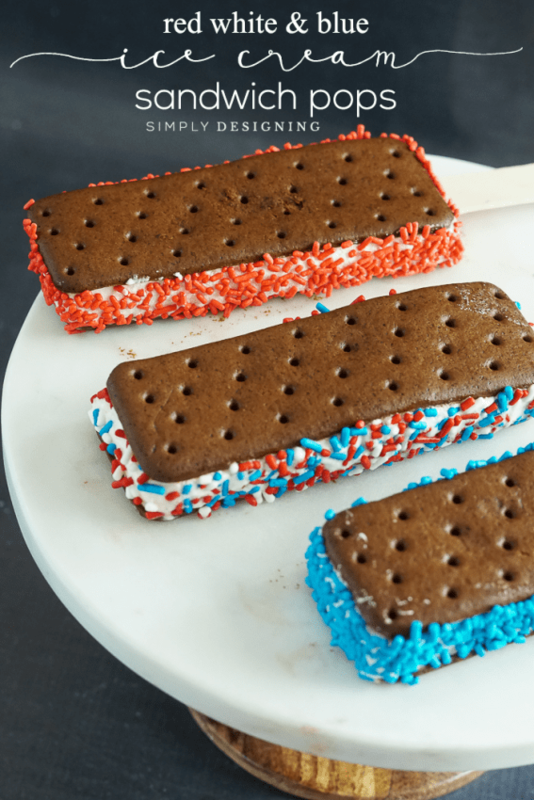 We have some ice cream sandwiches in our freezer, now we just need some sprinkles. 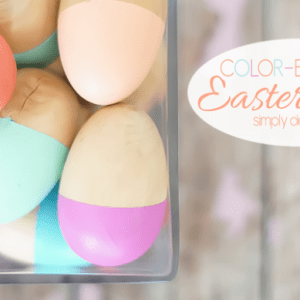 Such a fun treat for summer! 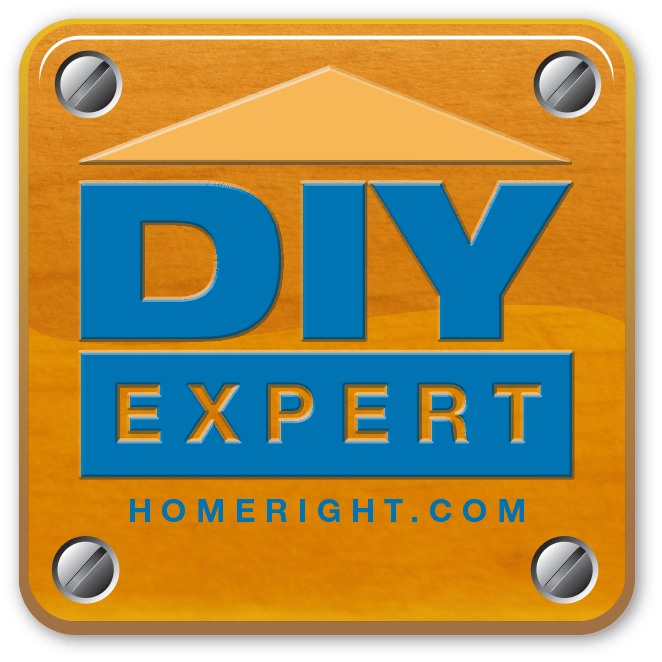 Easy for kids to help with too! Happy Thoughts of Home . Love having you!